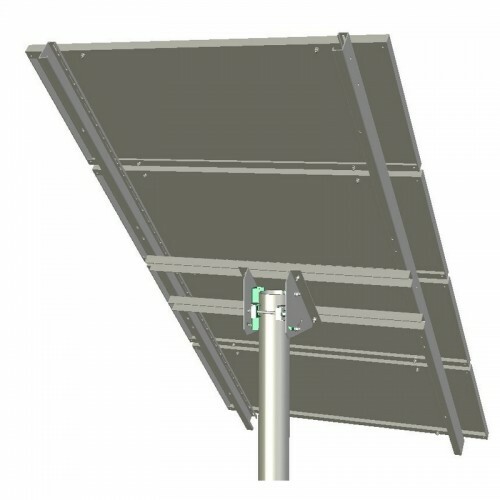 Tamarack Solar UNI-TP/04A Top of Pole Solar PV mounts are a heavy duty mounting solution for small area 12V and 24V modules that are less than 200W. It supports pole diameters of 4 inches and modules from most manufacturers. Top of Pole Solar PV mounts are manufactured using hot rolled steel and heavy-duty corrosion-resistant 5000 series aluminum.